Homepage. 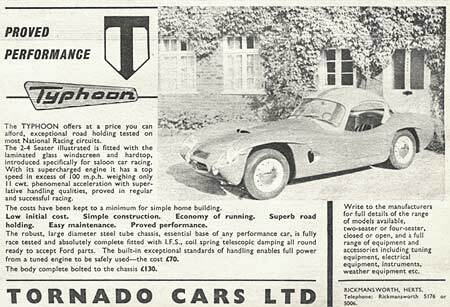 This page: Bruce's Tornado 1172cc sports car from the late 1950s, early 1960s. "I just had a look at the rest of your fascinating site and spotted the 1950s Ford Specials section. As a result I thought you might be interested in another couple of photographs. This is my first car - a Tornado Typhoon. I bought it as a student in 1966. I rebuilt the old side-valve engine, replaced the gear box and resprayed the body. However it was still a sheep in wolf's clothing though as it was flat out doing 60 mph, which was probably lucky given how bad the old cable brakes were. On the plus side the tubular steel chassis was superb and you hardly ever had to slow down for corners. I could never solve the overheating problem though. Even installing the "optional" water pump did very little to help and I would often arrive at my destination with wisps of steam coming out from under the bonnet." I appreciate you sending these pics over Bruce, top stuff! I've always had a soft-spot for these old Ford specials. Some were quite basic affairs, consisting of a wobbly fibreglass body crudely attached to a bog-standard Pop chassis. The Tornado cars were a cut above most specials I believe, even offering, as with Bruce's car, their own chassis to complement their rakish bodyshells. Very little of the donor Pop would end up being used under the skin of a Typhoon like this one, just the engine, gearbox and the axles usually, plus smaller ancillaries and fittings. A plethora of tuning parts were available to fit the sidevalve Ford engine, perhaps best known are those from Aquaplane. Bruce's car, and the example shown in this period advertisement from 1959, are both fitted with the desirable Ballamy 15" steel wheels, instead of the usual Ford rims. This both lowered the car to the ground, and lowered the gearing which aided acceleration, if not the top-end speed of the car! 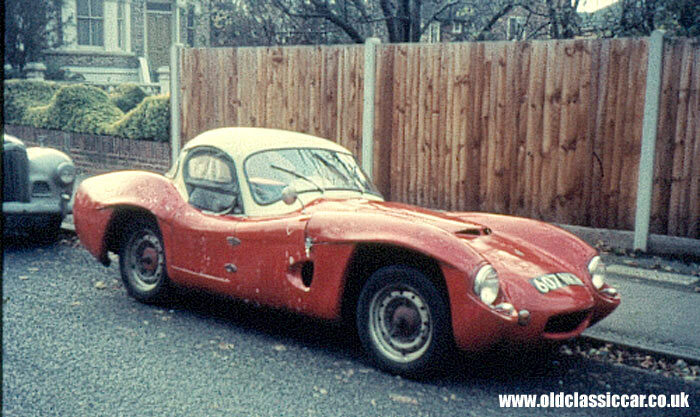 Tornado Cars Ltd were based in Rickmansworth, and offered a selection of sporty bodyshells to the DIY homebuilder.The Typhoon was a 2+2 and by 1960 could be bought to suit a variety of wheelbases, depending on the chassis being used (the Prefect chassis for instance was a little longer than the Pop one). The hardtop, as shown above, was a removable item. In 1960 two further models were added to the range - the Tornado Tempest, which benefited from the use of the new 105E Anglia engine, and the Thunderbolt, which must have been a quick car, powered as it was by the Triumph TR2 engine. It was also in 1960 that an estate car (!) variation was offered, again based around the Typhoon's bodyshell. It offered a lengthened roofline, squared-off tail and a top-hinged hatchback. It was known as the Sportsbrake, and is a rare vehicle now. At the end of 1961, Tornado introduced the Talisman, which was a wholly new design and was powered by the engine fitted to the Consul Classic saloon. 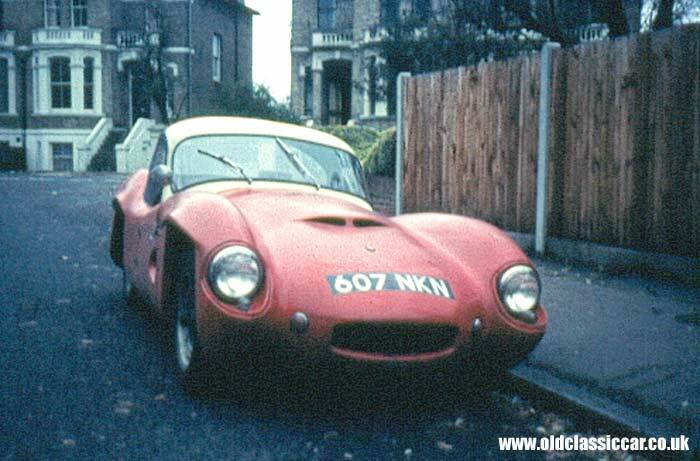 By this time, competition from the mainstream car makers was having a detrimental effect to the whole 'special building' scene - cars such as the Austin Healey Sprite (later the MG Midget) and the Triumph Spitfire were now offering affordable two seater sportscar motoring, with decent fit and trim, meaning that you no longer had to build your own car in a draughty garage if you wanted a cheap(ish) convertible sportscar.